The Stelvio will play a key role in determining whether Alfa reaches its sales and profit goals..
At 2,757 meters (9,000 feet) above sea level, the Stelvio pass is the highest paved road in the Italian Alps. To reach the summit a driver has to make 48 hairpin turns. 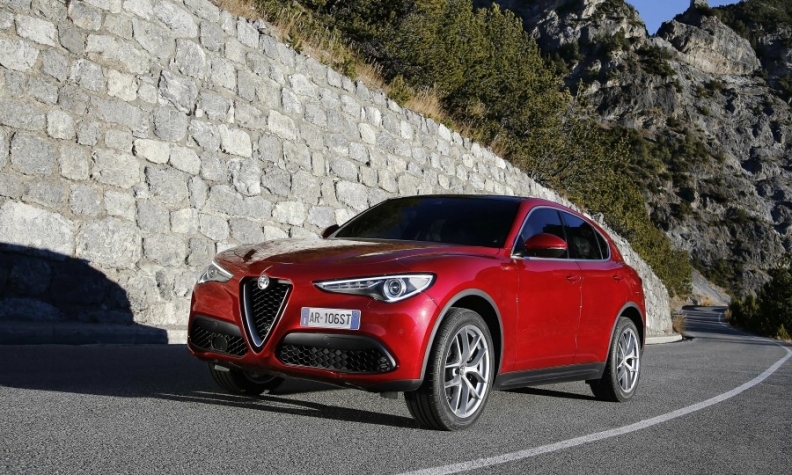 Alfa Romeo, which chose the name Stelvio for its first SUV, has taken nearly as many twists in its seemingly never-ending journey in search of success. For the struggling Fiat Chrysler Automobiles subsidiary to reach its ambitious sales target and turn its first profit in almost two decades in 2018, it will need the Stelvio to be a star performer. Alfa troubles are well-documented. It is in the midst of its fourth revival bid since FCA CEO Sergio Marchionne joined the company in June 2004. The 5 billion euro turnaround plan presented in 2014 targeted 400,000 units in 2018 and predicted Alfa's volume would rise to 500,000 soon thereafter without providing a time frame. That plan was revised in January 2016, at which time Marchionne said the sales goal would be pushed to 2020. Even with a two-year delay, reaching a volume of 400,000 vehicles is considered ambitious for a brand that sold just 73,000 units worldwide last year. Marchionne said the delay was because of "uncertainties in China" and the "need to guarantee proper global distribution network execution." Product investment at Alfa would be “reduced through 2018" and the brand's planned eight-car product lineup "will be completed by mid-2020," the CEO added. Massimo Vecchio, a Milan-based analyst at Mediobanca, estimates that FCA has so far invested about half of the 5 billion euros earmarked for Alfa. So far, just two of the eight models have been launched: the Stelvio and its platform sibling, the Giulia midsize sedan, which has not kept pace with expectations. Alfa expected to sell 75,000 to 100,000 units of the Giulia globally, but the sedan has not yet been able to reach that level. Marchionne predicted annual global sales of 75,000 to 100,000 Giulias, but since its May 2016 market launch through April 2017, Alfa sold 18,908 Giulias in Europe, according to JATO Dynamics. 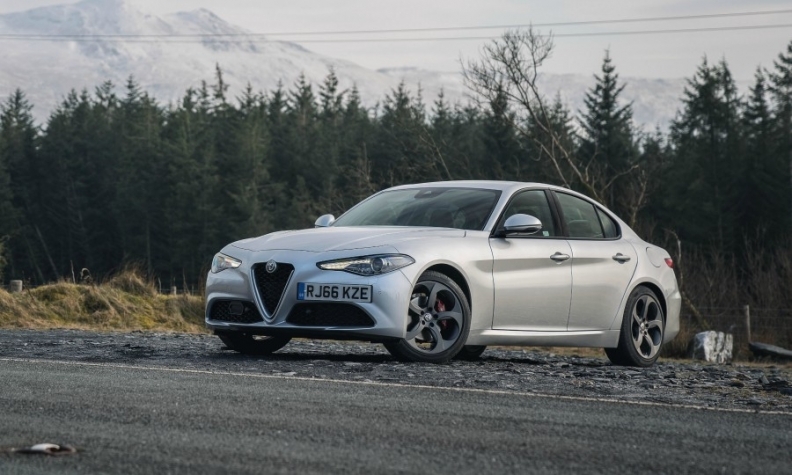 One disadvantage the Giulia has is that it is not offered as a wagon in Europe, where rivals such as the BMW 3 series and Audi A4 get a significant portion of their sales from that body type. In the U.S., Alfa has sold 1,636 units of the Giulia in the first four months of the year, company figures show. Another disadvantage the Giulia faces is a weak worldwide demand for sedans. The Giulia's slow start means the Stelvio will play a key role in determining whether Alfa reaches its sales and profit goals. One plus for the Stelvio is that global demand continues to rise for premium midsize SUVs, but the segment already includes popular competitors such as the Audi Q5, BMW X3, Jaguar F-Pace, Mercedes-Benz GLC and Volvo XC60. Last year, European sales in this segment rose 30 percent to about 411,000 vehicles, according to JATO, while in the U.S. volume increased 32 percent to about 360,000, Automotive News Data Center figures show. In an April call with analysts, Marchionne said "Alfa and Maserati together will sell 230,000 units in 2017." Subtract the 60,000 sales target Marchionne has set for Maserati and that means Alfa is looking to sell 170,000 units globally this year. FCA Chief Financial Officer Richard Palmer confirmed that Alfa is on course to reach breakeven in the fourth quarter of this year and Marchionne added that the automaker will become profitable again starting in 2018. Gabriele Gambarova, an analyst at Banca Akros in Milan, says Marchionne's volume target for this year is "quite aggressive," but it could be less challenging if it referred to vehicle shipments rather than retail sales. "The U.S. market could absorb 20,000 units this year between the Giulia and Stelvio," Gambarova said. "In the third quarter, we might be able to get a first hint of how the Stelvio has been received in its key markets." Alfa Romeo declined to comment for this story. IHS Markit is not as optimistic as Marchionne. The market researcher forecasts Alfa will sell 120,000 vehicles worldwide this year, with the Stelvio, which Alfa is currently rolling out in Europe, accounting for less than 25,000 units globally. Through the first three months of this year, Alfa has increased European sales 35 percent to 21,512 units, JATO's numbers show. If Alfa tops 100,000 sales this year, it will be the first time it has done that since 2012. The last time it sold more than 200,000 cars was in 2001. Alfa is poised to get additional help in its quest to return to profitability with the addition of a compact and a large model to round out its SUV lineup at three offerings. The compact SUV is likely to be built at FCA's factory in Pomigliano, southern Italy, where the automaker currently produces the Fiat Panda minicar. Alfa's large SUV is expected to be built in either Cassino, sharing its platform with the Giulia and Stelvio, or in the Mirafiori plant in Turin as a sister model to the Maserati Levante. Neither of these two SUVs is expected to debut sooner than 2019. This story is from the June issue Automotive News Europe's monthly magazine. You can download the new issue on Monday by clicking here.